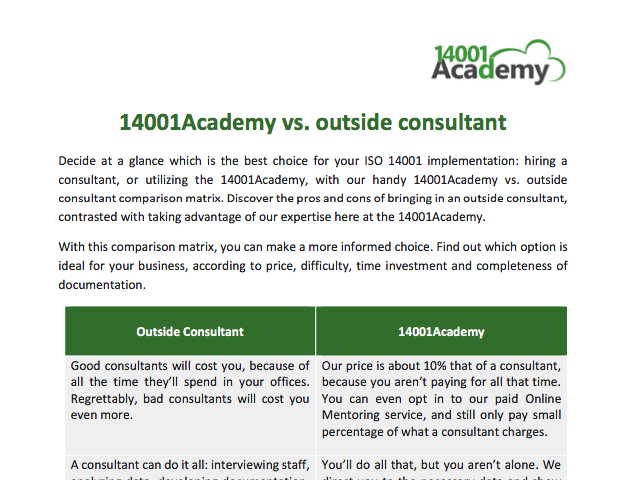 Decide at a glance which is the best choice for your ISO 14001 implementation: hiring a consultant, or utilizing the 14001Academy. 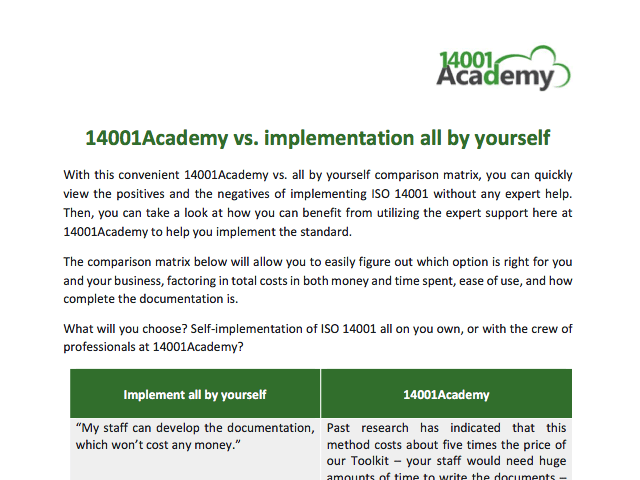 With this convenient 14001Academy vs. all by yourself comparison matrix, you can quickly view the positives and the negatives of implementing ISO 14001 without any expert help. 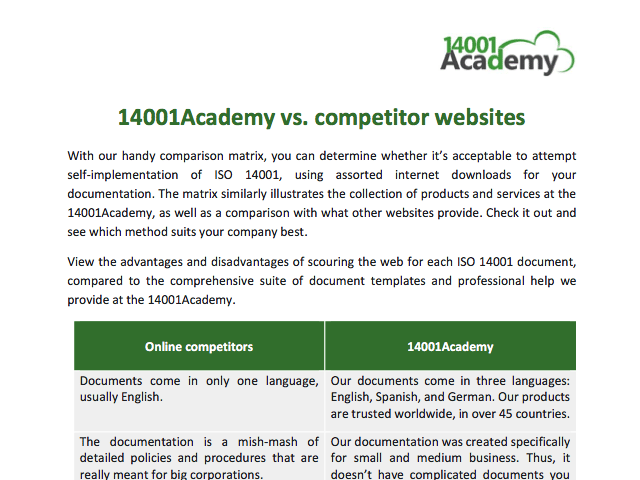 With our handy comparison matrix, you can determine whether it’s acceptable to attempt self-implementation of ISO 14001, using assorted internet downloads for your documentation. Not certain which option is best for your business? We have some good news – there are a number of methods you can choose from to implement ISO 14001: you could try it alone, you could hire a consultant, or you could do it yourself with expert support. So, what’s the bad news? Well, it can be difficult to choose the right option for your situation.